Background : Infective endocarditis is a common disease in Yemen. Although the incidence of rheumatic valvular disease and uncorrected congenital heart disease in adults is high in Yemen, there are few data regarding the pattern, characteristic features and outcome of infective endocarditis in Yemen. Objective : The aim was to study the characteristic, clinical features and diagnostic criteria of infective endocarditis in Yemeni patients and the outcome in patients treated with medical therapy. Patients and Method : Seventy-two consecutive patients admitted to Kuwait teaching hospital in Sana'a with suspected infective endocarditis between June 1, 2005 and June 1, 2007 were included in this study. A questionnaire including history, clinical findings, and result of requested investigations, treatment, complications and outcome was used. The diagnosis was based on Dukes criteria, which proposed two major or five minor criteria. In our study, we included raised erythrocyte sedimentation rate (ESR) as a minor criteria. The patients were classified as definite, possible and rejected cases. All patients received empirical antibiotic therapy. Results : The mean age was 28.56 ± 14.5 years. Men were 30 (42.2%) while women were 42 (57.7%). 59 (81.9%) of the patients had been admitted due to fever. Past history of rheumatic heart disease was positive in 38 (53.3%) of the patients. Mitral regurgitation was the commonest form of valvular affection 54 (82.1%) of patients followed by aortic regurgitation in 45 (63%). Anemia was present in 53 (74%) while raised erythrocyte sedimentation rate was high in all patients. Vegetations were detected by transthorasic echocardiography in 51 (70.83%) of the patients while blood culture was positive in only 7 (9.6%). After adding high ESR to the criteria, definite infective endocarditis were found in 34 (47.2%); possible in 38 (52.7%) and no rejected patients. Sixty-two (87.5%) of the patients improved and were discharged in good general condition. Nine patients died, an In hospital mortality of 12.5 %. Conclusion : patients with IE in Yemen were younger than those patients in western countries, RHD is the commonest predisposing factor. Duke's criteria in addition to high ESR as minor criteria improved the diagnostic possibilities and using empirical antibiotic therapy improves the outcome. The mammalian Natriuretic Peptide (NP) system consists of neuro-hormones, such as atrial natriuretic peptide (ANP), brain natriuretic peptide (BNP), c-type natriuretic peptide (CNP), and the N-Terminal fragment of BNP (NT-pro-BNP). In response to some cardiovascular derangement the heart (acting as an endocrine organ), brain and other structures secretes natriuretic peptides in an attempt to restore normal circulatory conditions. Their actions are modulated through membrane-bound guanylyl cyclased (GC) receptors. They induce diuresis, natriuresis and vasodilation in the presence of congestive heart failure. These neuro-hormones also play a role in the suppression of neointimal formation after vascular injury. In addition, they act as antifibrotic and antihypertrophic agents preventing cardiac remodeling after myocardial infarction. Further, NP have diagnostic and prognostic role in heart failure, vasoconstriction, left ventricular late remodeling after MI and others. 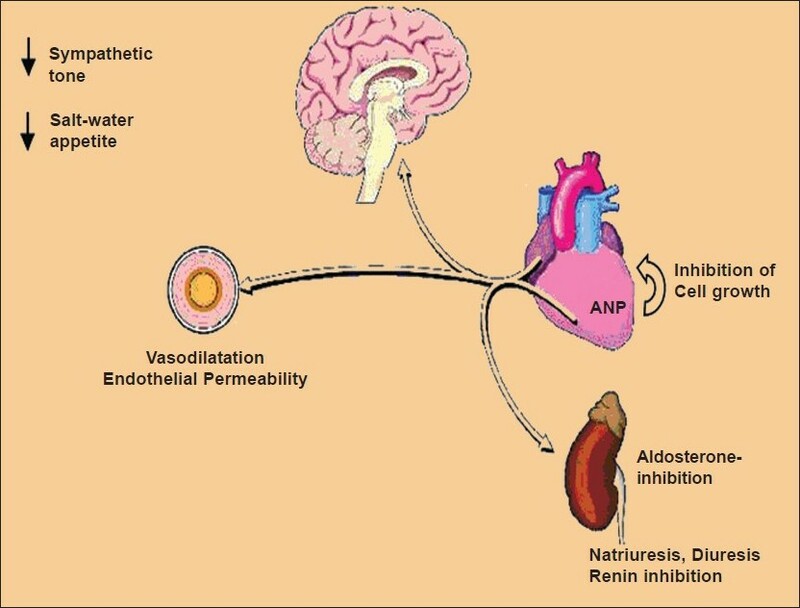 At present, some drugs such as Nesiritide, NEP inhibitors and vasopeptidase inhibitors were synthetized from NP, to antagonize these cardiovascular derengements. In future, it will be possibile to elaborate some drugs similar to petidase inhibitors and some CNP-like drugs able to reduce many symptoms of cardiovascular derangements without significant side effects. Splanchnic vein thrombosis in patients with polycythemia rubra vera is well-known. Development of mobile right heart thrombus in these patients has not been reported previously. 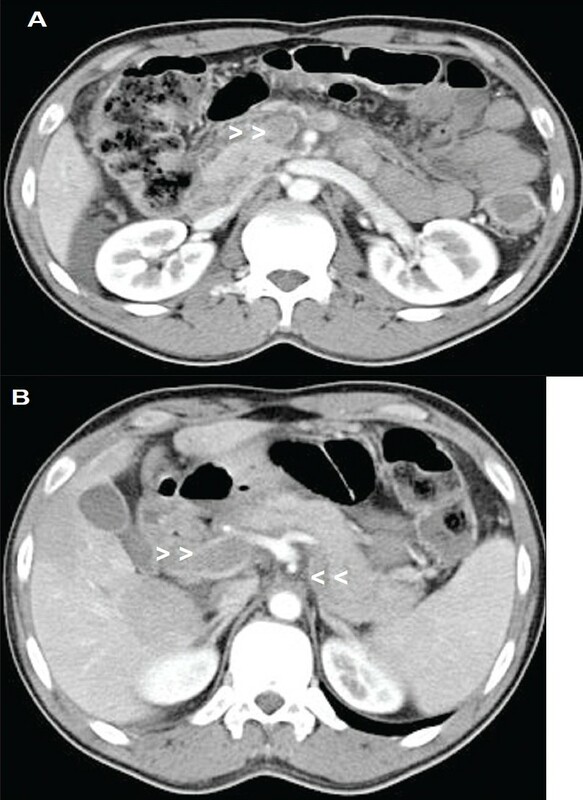 We describe a young patient with Polycythemia rubra vera and splanchnic vein thrombosis with ischemic bowel who underwent small bowel resection. 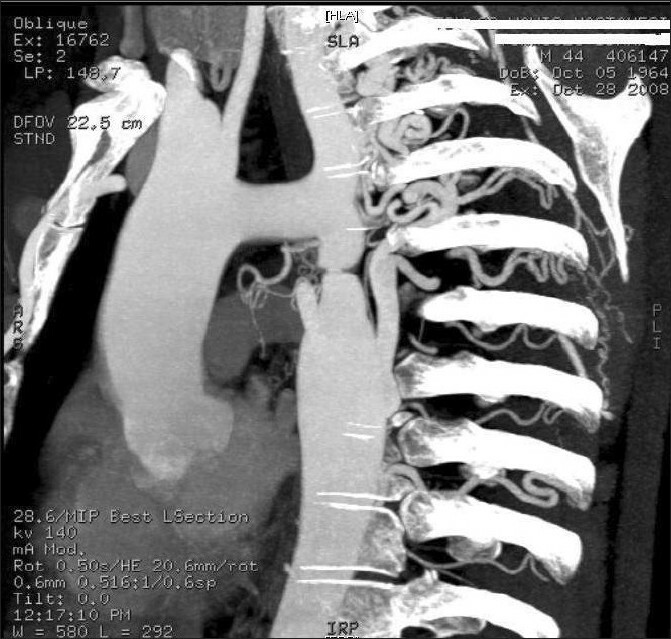 He developed a large mobile right atrial thrombus and bilateral pulmonary embolism. He also had upper gastrointestinal bleed. His management was complicated and challenging due to multiple risk factors and co-morbid conditions. Thrombolysis was contraindicated and he refused surgical intervention. He was treated with anticoagulation with complete resolution of right atrial thrombus. Scientific theories take centuries to come into existence and they keep on evolving. Uncountable intellectual minds work on these theories; some fail to do anything about it; some add a little after tremendous efforts, and some people give remarkable and unforgettable contribution. As far as credit is concerned, the person who is able to prove the theory by his facts and who clears the maximum doubts by his observations, experimentations, facts and reasoning, gets the credit for that theory, and this should be done with honesty. The theory of pulmonary circulation took more than 2000 years to come into existence as we know it today. With the passage of time different people were given credit. Some say that it was given to Galen; some say it was Michael Servetus; others say that Realdus Columbus was the real discoverer; some gave the credit to Ibn Nafis, and finally people gave the credit to William Harvey. But after the rediscovery of Ibn Nafis' manuscript no.62243 titled Sharah al Tashreeh al Qanoon, or "Commentary on the anatomy of Canon of Avicenna" in 1924 AD in Europe, it became clear that Ibn Nafis had described the pulmonary circulation almost 300 years before Harvey, and the historians like Aldo Mieli, Max Mayrhoff, Edward Coppola etc. clearly state that Ibn Nafis is the real discoverer of the pulmonary circulation and that he should be given the credit for the discovery of the pulmonary circulation.